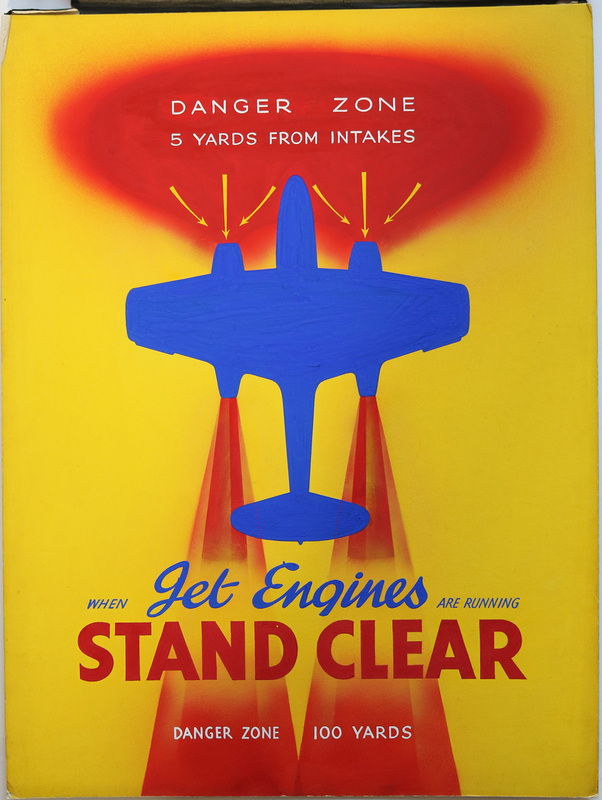 AIR MINISTRY: A rare original preliminary poster design featuring Jet Engines for the Air Ministry – Deputy Directorate of Accident Prevention. 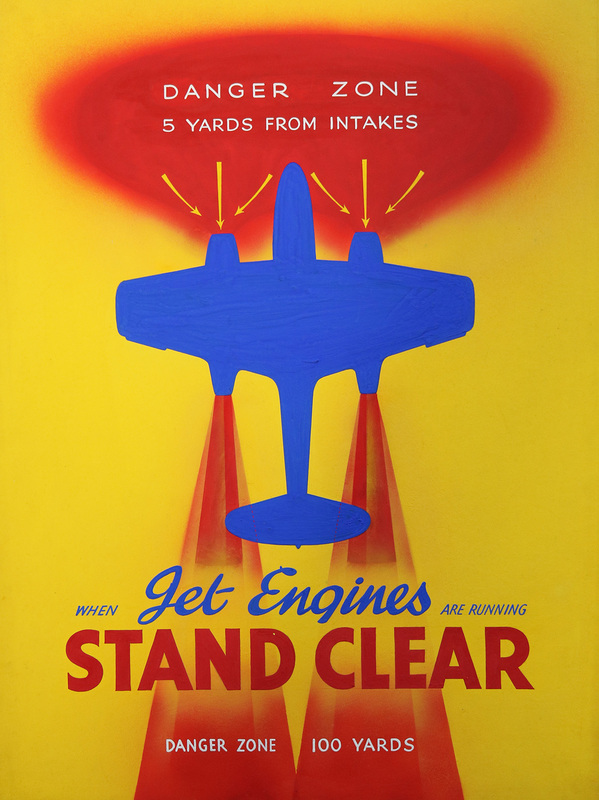 The poster design titled “When Jet Engines Are Running Stand Clear”. Created 1940s, artist/ designer unknown. The poster design depicts a Gloster Meteor type plane in silhouette, with the Danger Zones indicated in proximity to jet. 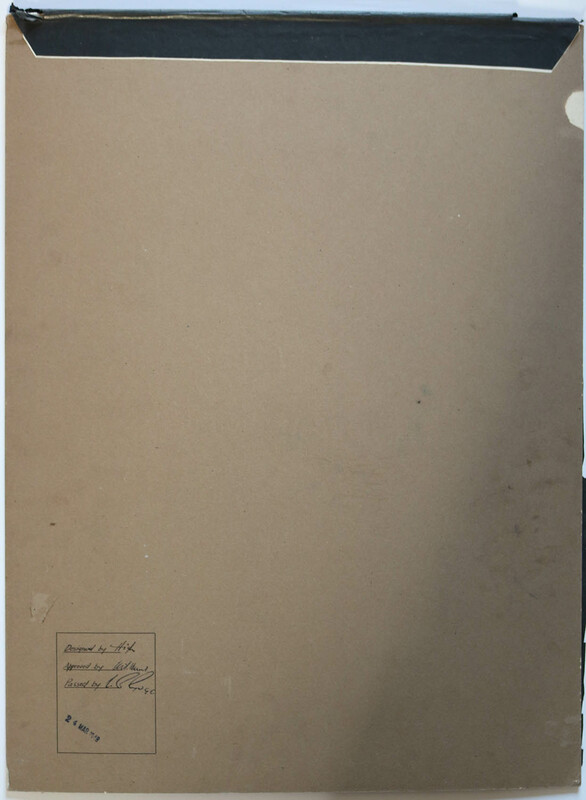 Painting in gouache on artists board with corresponding paper cover/ protective overlay. 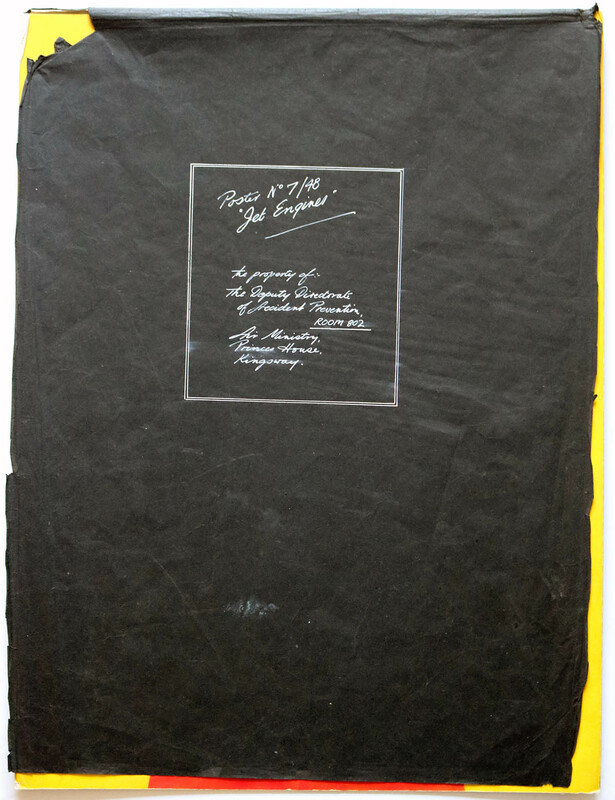 Condition Report: In overall excellent condition, some rounding to corners, cover sheet with tearing and paper loss. Condition very good in accordance with age and use.